This is my family’s Pantry Inventory Spreadsheet. 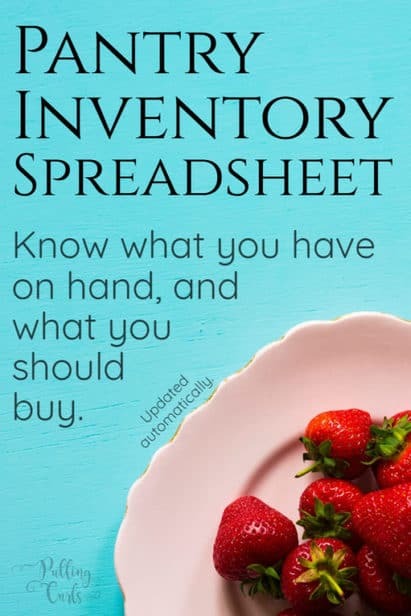 Use this to create a kitchen grocery inventory template so you don’t end up over-buying, and ultimately saving money. You know how it is, you think you have a can of beans, but then you go to grab it and it’s GONE. GRRR that totally gets my goat! It may also get a few other more colorful words thrown at it! 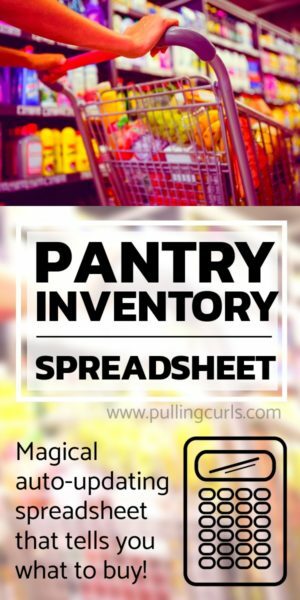 This pantry inventory spreadsheet will help you stay on top of what’s where. If you are on mobile and can’t see the form — click here. 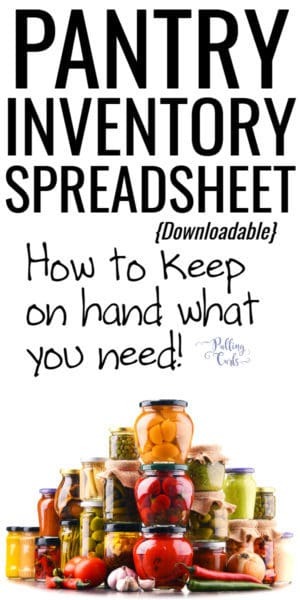 At the height of my use of this document, I was checking all of the items monthly, I’d then go into my computer and update the spreadsheet. If I was feeling adventurous I’d ask a kid to yell out how many items were in the pantry and I’d update it as we went along. It didn’t take much time at all. Lately, I’ve been buying less — and that helps our grocery budget a lot also. I just sometimes run out of stuff again. Feel free to adjust and fix as needed. Because I love you all that much. I’d love to know if people have ideas to make it better. The columns will automatically update if you use a proper program (I use Excel, but it should also work in google sheets) that will execute equations. aka — if you want to have 6 and you have 3 — the third column will say 3, as you will want to have 3 more. Feeling like not having enough or losing things is an issue? I’ve found the solution! You feel like it takes hours and hours to clean you rhouse. Feel a rock in your stomach when you find out you’re having last minute guests. This course helped me change my ways — you can even save 10% with code PC10. You can turn this into useable on you mobile phone by adjusting it to just 1 collumn and putting it in google sheets. That way it can easily be available on your phone. It’s something I wanted for such a long time. I was running out of things that would leave my frustrated and wonder why I didn’t have a lot of the things I had on hand in my pantry inventory. BTW — looking for groccery delivery? Check out my friend Katie’s Shipt grocery delivery review! 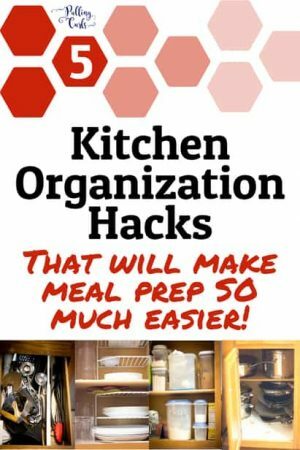 Be sure to check out my more recent post on having an organized pantry. 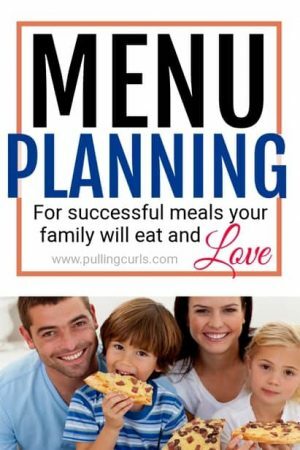 It can be really helpful too! 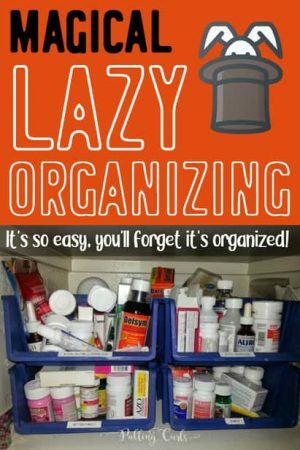 Some other posts about home organizing are my weekly cleaning schedule, and stocking up on canned goods. 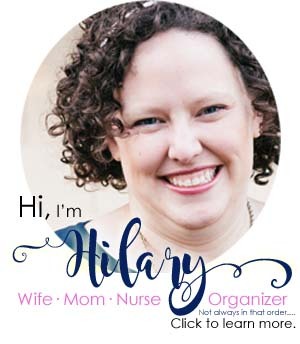 And if you’re on Pinterest, check out my organization board! This was originally created in 2014 and has been updated. I tried with either of my email addresses and have not received it. 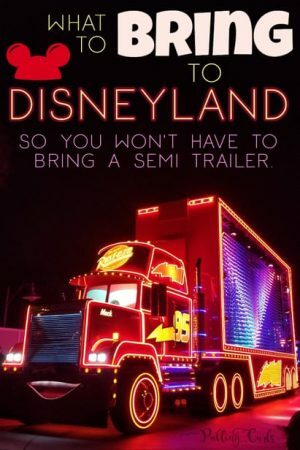 Could you please send it to me??? Thanks!! I am so sorry, it looks like my email provider was a little wacky yesterday — it does look like it was sent to you. Please let me know if you didn’t receive it. I requested the file, but haven’t received it. I am so sorry — it should be coming. I guess Amazon servers (who hosts my external attachments, like that) are down. 🙁 It should come SOON! – There should be categories and possibility to create as many categories as needed, as well as sub-categories. – There should be a way to tell where those or these goods can be bought. I face situations sometimes that I can’t find certain products in some stores but can find in other stores even if those stores under the same name. – There should be a way to set units for products. Say, I want to count potatoes in lbs but beans in cans. – The app should notify the users about the fact that some of the products are about to expire or finish. Additionally, I think the user should be able to tell how long before the app should notify about that. So that, if for example, I want to be notified when I have 2 cans left of Coca-Cola, or when I have 2 lbs left of potatoes. So it depends kind of on the product. – The other thing I think about is that the app should notify the users if he doesn’t change the quantity of the products for some period. Sometimes, you can forget to change the quantity of spending products so the app could remind you about updating your inventory. – Finally, the app should have a so-called “Need To Buy” list. 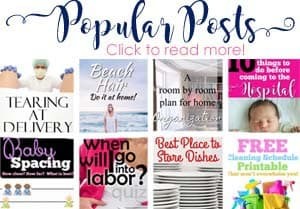 This is kind of shopping list where you add products that is about to expire of finish so that the next time you go to the store you know exactly what you need to buy. Huh, really interesting and cool! Darn that we are all android around here! I subscribed to get the spreadsheet, and when I got the email, there was no mention of a spreadsheet and no link for me to get it. If you’re no longer giving it away, please update your site as I was a bit disappointed. I sent the spreadsheet at the same time as the other email — Dec 19 at 3:37pm. Maybe check your spam as it sometimes lands there? 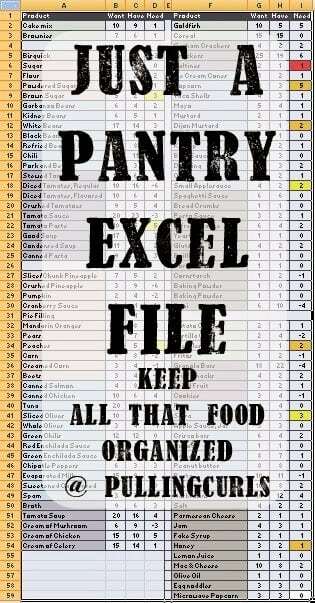 Please send your Pantry Inventory Spreadsheet, looking forward to working with it. Hi Shirley, just sign up for it in the post and it should come within a few minutes!